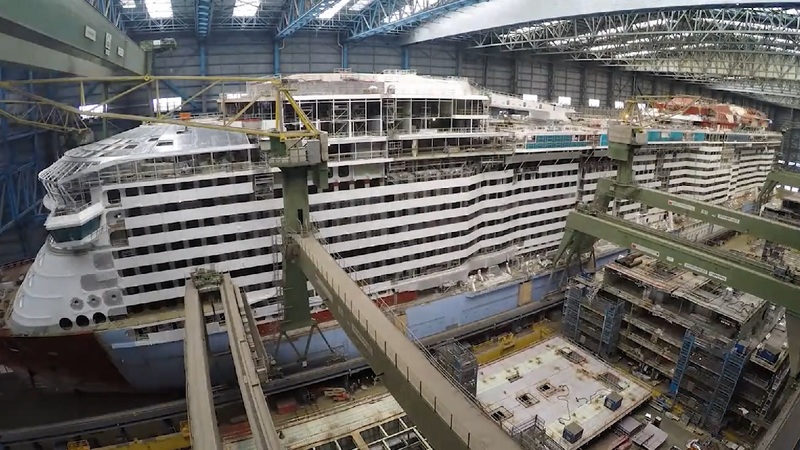 Royal Caribbean has released a video giving us a construction update on their next new cruise ship, Spectrum of the Seas. Spectrum of the Seas will be the cruise line’s first Quantum Ultra class cruise ship. Spectrum of the Seas has moved another step closer to completion. The cruise ship’s two large megablocks were merged and fastened together at Meyer Werft shipyard in Papenburg Germany – the latest milestone in her unique building process. Spectrum is scheduled for delivery in 2019.